Pelosi to Colbert: Dems Will Win The House [VIDEO] - Joe.My.God. 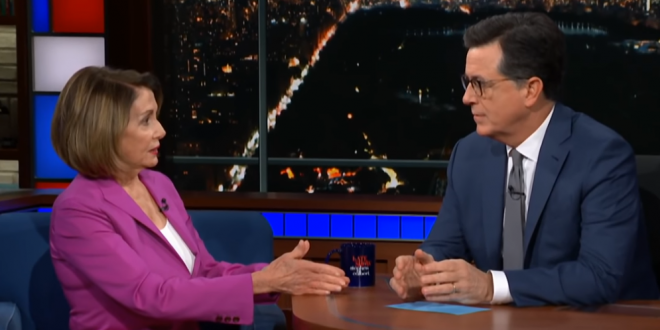 On Tuesday’s broadcast of “The Late Show,” Pelosi boldly predicted Democrats would win big in November’s midterm elections. “Let me say this: Up until today, I would have said if the election were held today, we will win,” Pelosi told Colbert. “Now I’m saying is, we will win, we will win, we will win,” she added.